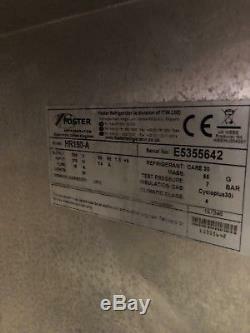 Foster HR150A commercial under counter stainless steel single door fridge. Very good condition full working order. Has been fully tested and serviced by a refrigeration engineer! Comes with 2 new shelves. Runs off 230v 13amp (standard uk plug). Dimensions 600mm w x 640mm d x 820mm High. 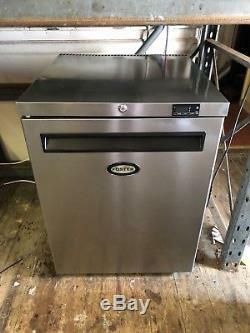 The item "Foster HR150 Under Counter Commercial Stainless Steel Refrigerator 150L Fridge" is in sale since Friday, July 27, 2018. 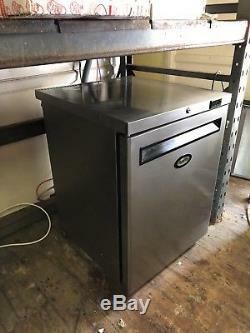 This item is in the category "Business, Office & Industrial\Restaurant & Food Service\Refrigeration". The seller is "grs-catering-equipment" and is located in St. This item can be shipped to United Kingdom.